Why is personal umbrella insurance in NH a wise investment? For starters, we live in an extremely litigious society and jury awards continue to rise. The more you own, the more you have to protect. A personal umbrella insurance policy provides liability coverage to help you avoid the loss of your home, automobile, boat and savings. 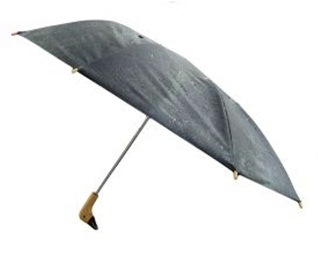 Personal umbrella insurance will benefit you by providing peace of mind for you and your family. Securing personal umbrella insurance in NH is an effective, affordable way to ensure that everything you have worked for remains safe. As an additional layer of liability insurance over your home or auto insurance policy, personal umbrella insurance protects your family, lifestyle, and assets. In the unfortunate event that someone sues you, personal umbrella insurance will help you cover lawsuits, settlements, and jury awards. Contact Us Today for a Free Quote for Umbrella Insurance in NH! To ensure that you have the right personal umbrella insurance coverage, be sure to talk with Eaton & Berube’s team of trusted insurance agents as policy terms and conditions vary by insurance company. In addition to Nashua, NH, where our office is located, we are proud to provide personal umbrella insurance in Hudson, Hollis, Brookline, Litchfield, Amherst, Merrimack, Bedford, Milford, Manchester, Concord, Goffstown, Derry, Salem, Londonderry, Windham, Wilton, Mont Vernon, and all of New Hampshire. Call us today at 800-660-5362 or submit our online quote request form for a free quote for personal umbrella insurance in NH!